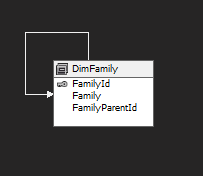 Indeed, creating our Parent-Child dimension is based on two columns FamilyId and FamilyParentId, FamilyId is the key that identifies each member, and the FamilyParentId column called parent key column identifies the parent of each member, together define the parent-child relationship between the members of the dimension. 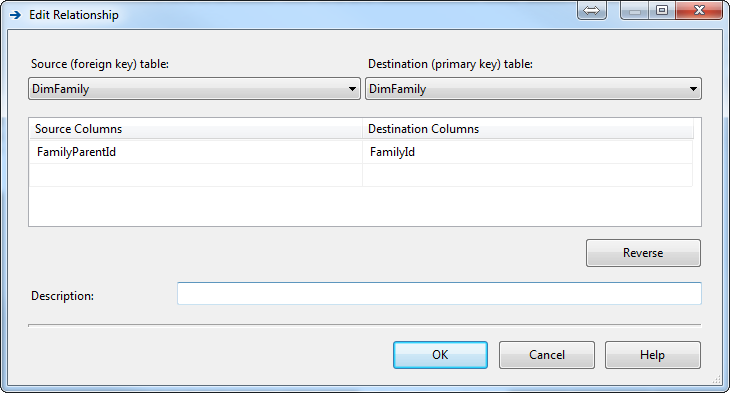 It should be noted that the relationship between the two DataColumns is source=FamilyParentId and Destination=FamilyId. 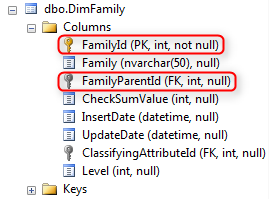 Then, creating the dimension from the dsv, BIDS automatically detects that the usage property of FamilyParentId is in Parent. We can see that families without parents have a higher level. 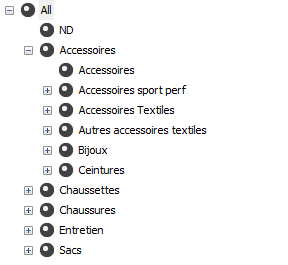 To go further in this subject, we will address in the second part of this article the properties of the dimension Parent-Child, So go You can consult it by clicking here..
One thought on "Parent-Child Dimension - Part 1"
It is easy to understaqnd it, Thnks ɑ lot.